Waterfront Patio with View of Cedar Point and Sandusky Bay !! Waterfront! Water Views! Large Waterfront Patio! Pool/Spa! Top of the Line Furnishings! Reasonable Rates! This Unit is Conviently Located On Downtown Sandusky's Re-Developing Waterfront. New Municipal Marina Right Next Door with Transient Dockage. Large Waterfront Patio with Dining Table and Chairs. Kitchen/Living Room Combination with Leather Sectional, Kitchen Island with Bar Stools.Stainless Steel Kitchen Appliances,Tiled Floor and Track Lighting. Master Bedroom with Queen Size Bed, Full Private Bath. This is One of the Nicest Rental units in this Complex. Close to Everything! Cedar Point 5 Miles away . Walking Distance to Ferry Services that will take you to Lake Erie Islands and Canada. Nightlife, Parks, Pier Fishing, Charter Fishing. Many Restaurant's, Bar's, Shopping, Library, Museum's. Bring your boat or Jet Ski the City Boat Ramp is just Down the Street. Transient Dockage available. The property is beautiful and very clean. The owner is easy to work with and very accommodating. We loved the property and the views were fabulous. I would definitely recommend this condo!!! Great accommodations. Perfect location!! Always reliable! Once again we enjoyed a well appointed, comfortable condo in a great location!! Thanks for a great weekend!!!! We had 4 children and 2 adults plus a friend for one night and the accomodations were comfortable. Very clean, open space. Location and view from patio are a plus. The pool was enjoyed by all. Owner very responsive to fixing the dish washer when we called. We would stay there again if available next summer! Second time at Tony's Condo. Once again we love the patio and the people watching that goes along with that. The Condo has everything we need and is clean and comfortable. 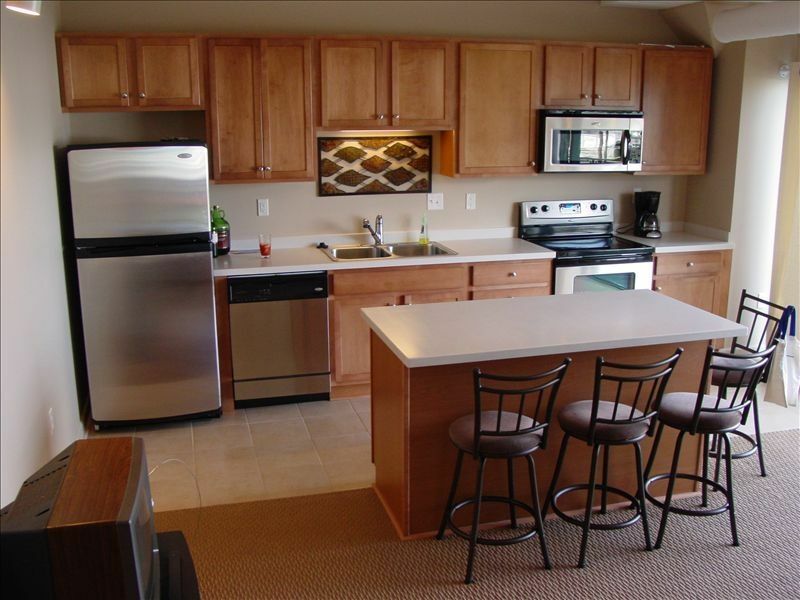 Being minutes from Jet express and some of the newer restaurants in Sandusky adds to the appeal of this Condo. The Condo is exactly as described...actually even better! We received instructions on how to obtain our key and access to the condo about a week prior to our arrival. Things were very well explained and we had no trouble at all getting settled in for the weekend. The condo is equipped with towels, sheets, toilet paper and everything you need in the kitchen. There are very few TV channels, which should not be a big deal, but we really wanted to watch a soccer game on FS1 that was not available. The Jet Express is right beside the condo which made our trip to Put-In-Bay very easy and enjoyable. The pool was well maintained and we felt very safe with the exceptional security the complex had in place. There were bands playing each evening on both sides of the complex which was very enjoyable to take a walk and take in the sights. The sunset was absolutely incredible on the water and must see each night. We will not hesitate to stay here again very soon.